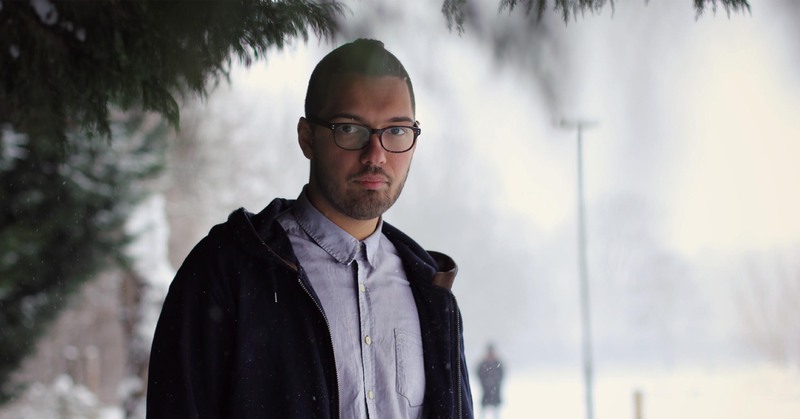 Shake resident writer Lychee / Alyce Currier asked DjRUM / Felix some questions about his recent LP, jazz music background, and more in advance of his Boston debut at Good Life. His music has evolved in his latest release where he combines together the best parts about the vibe of the dancefloor with “elegant detailing of the best headphone music.” Don’t miss out on this highly anticipated set this Friday alongside Madam X and Shake resident Dev/Null b2b UMI! Your latest LP, Portrait With Firewood, was recently released on R&S Records, your second release with them. How did the collaboration come about? I’d been in contact with Renaat for a few years before we ended up signing a deal. We would talk about working together but the timing wasn’t right I guess. Now the timing feels perfect. What was it like returning to the piano, your childhood instrument, for this LP? How did you approach the shift from more sample-driven music? I just treated my piano recordings like samples… chopped up. Was there other music that influenced you to take a more emotional approach to your latest record? How did you decide you wanted to accomplish that sort of more visceral communication? No, it was more a reflection of the change in process. When you are touring, do you spend much time at music events and parties? How do your experiences in clubs and venues feed back into the music you are creating and spinning? It can be hard to read the crowd when you’re in a foreign place… a different scene to what you know best. Talking to the promoters about the local scene helps. Your first EP was released in 2010. How has the process of spreading the word about your music changed since you’ve gotten started? Has the rapid information economy of the internet changed things significantly for you? That’s something I’ve never payed to much attention to. I just concentrate on the music. Can you discuss your training in classical jazz and how you came to create electronic music and music that is effective on a dancefloor? Well the jazz thing is what I was obsessed with as a teenager, but when I got into electronic music that took the front seat for quite a while. How often do you work on making music? Do you have a regular practice, or is it something that’s reactive to a specific idea? Yeah it depends. Once I get obsessed with a track I want to work on it every minute of the day. Since one of our openers for this party, UMI, is a Sub.FM affiliate, a quick throwback: can you tell us a bit about your Sub.FM crew and Yardcore? How did those times impact you as a DJ and producer? Oh! I loved doing the Sub.FM show. A lot of the time we’d be broadcasting from my studio. I had my entire record collection there and could take my DJ sets in pretty much any direction. Any future projects or anything else we should keep an eye out for? I’m working on Portrait With Firewood as a live show. 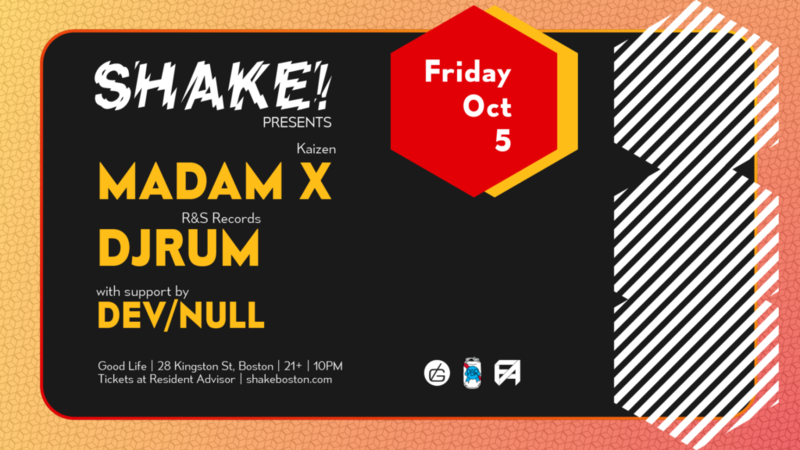 Click here and see DjRUM with Madam X, Dev/Null and UMI at Good Life on Fri, Oct 5th.